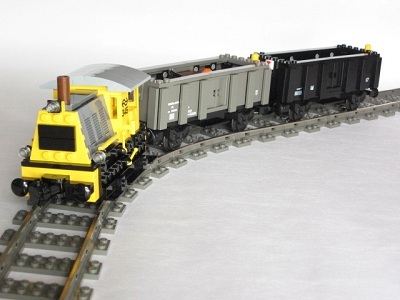 This freight train features shunting engine of the Dutch Railways, coal wagon of the Dutch Railways and coal wagon of the Dutch State Mines. Only the CD with building instructions and 3 printed bricks with NS logo and engine number included. No other parts. The best eCommerce software by ShopFactory powers P139. All-in one eCommerce and shopping cart software.